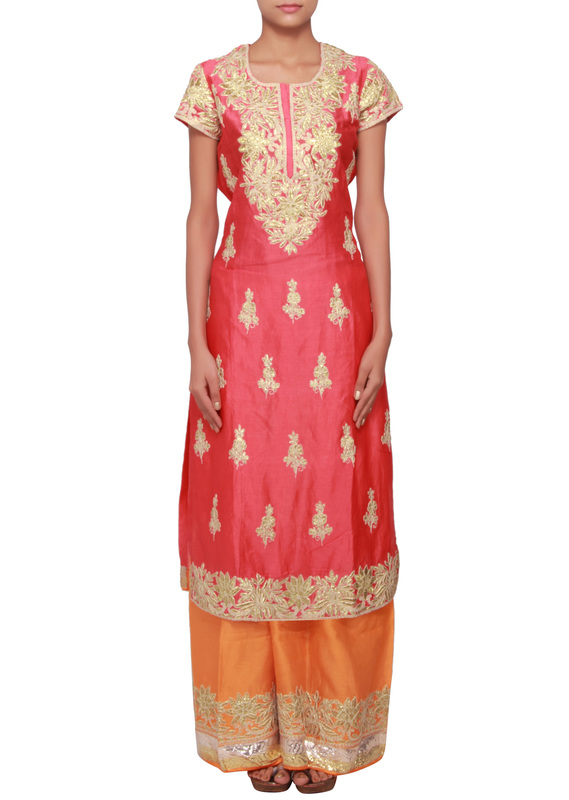 Straight fit suit featuring in pink silk. 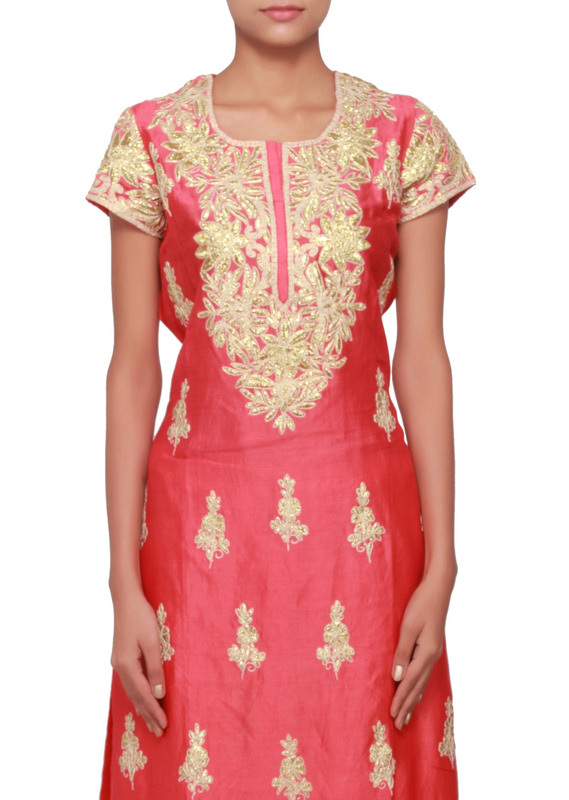 Its embroidered in zari and thread work. 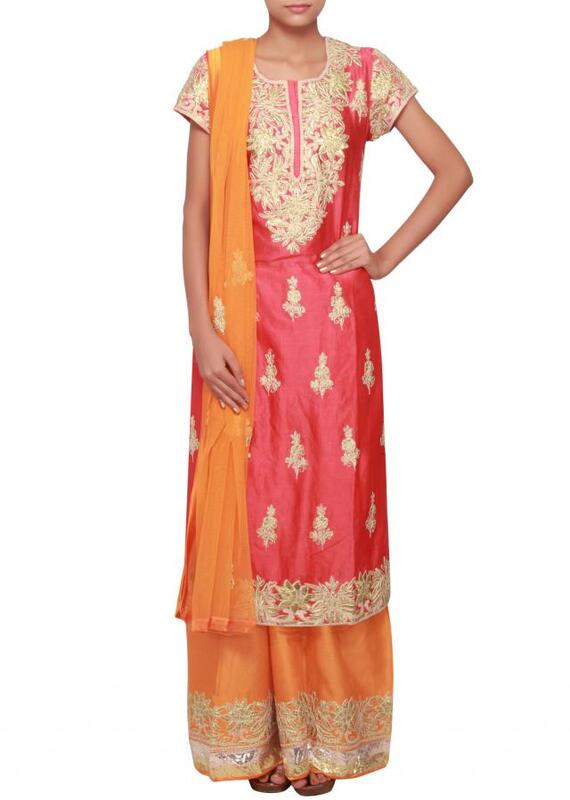 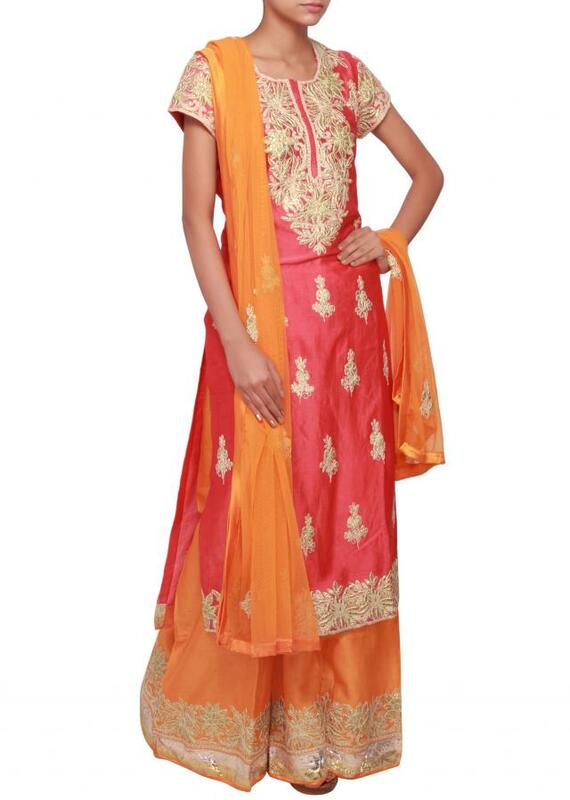 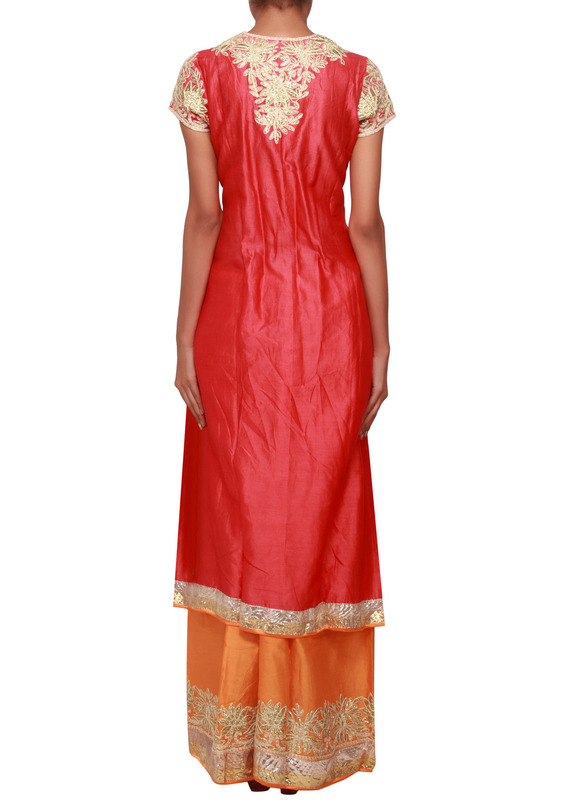 Matched with palazzo pant in orange silk along with dupatta in net.